I'm excited to share with you what I think is the most effective and cheapest way, as far as I know, to remove make-up. It doesn't really need to be fancy as long as it does the job. For me, olive oil does it. Yes, that right! It's the one we use for cooking and making salads. Choose extra virgin olive oil. Personally, I'd prefer the one sold in drugstores not because it's more effective but because I don't want to confuse what I put on my face and in my stomach. 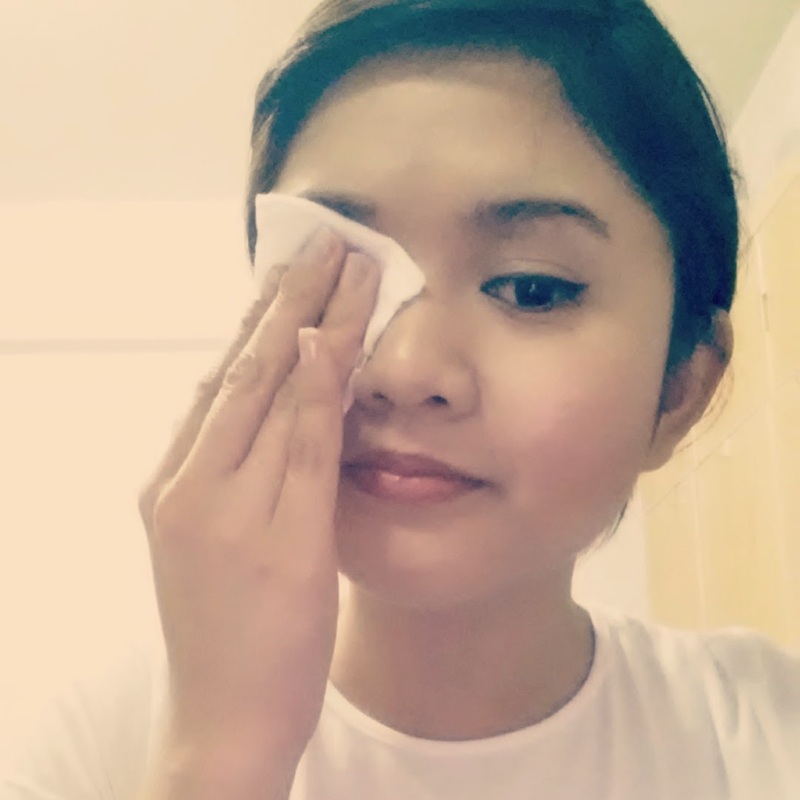 - Dab a small amount of olive oil on your cotton pad and wipe it gently on your entire face. - Because the eye area needs needs special attention when cleansing, you need to press the cotton pad lightly on your eyelid for a few seconds. - Wash your face and viola! you now have a clean face. I had combination skin which is oily in the t-zone area (forehead and nose) and normal on the rest of my face. I don't break out easily and my skin is not sensitive. I've been doing this method for 2 years now and I must say olive oil does the job effectively. I love how it leaves my skin moisturized. Olive oil is cheap and takes a while to finish the whole bottle. I bought mine at Fairprice around 5 SGD. What's your experience? Let me know.